There are a lot of mixed opinions about sleeping without a pillow. I’ve always been team pillow so wanted to find out. 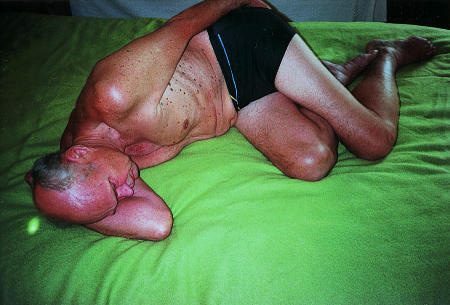 Well a study was done where a man had looked at various tribes from around the world who don’t sleep in beds like ours. He found that they didn’t have any muscular or skeletel problems and basically no joint problems. They would sleep happily on the ground with a thin layer between them and the floor and happily without a pillow everynight. I definitely think there’s more to it than just sleeping without a pillow but interesting to know they got on fine without one. So you can sleep without a pillow but that doesn’t mean you need too. Let’s take a look at some of the myths about sleeping without a pillow. There are a few advantages people claim about sleeping without a pillow that simply don’t make any sense. It was thought that having your head in the same place on a pillow would transfer bacteria to your face worsening acne, but that’s going to happen no matter what you put your head on. And if you wash your pillowcase regularly then it’s not going to be a problem. Again the same argument for having your hair on the pillow, but again it’s going to happen no matter what your head is on, if it’s on the same part of the sheet on your mattress you’re going to have the same problem. Besides most people shower every day or 2 and after they get up so it won’t really make a difference. The main thing that sleeping without a pillow can help with is neck pain. This is the most common problem people have who are looking into sleeping without a pillow is neck pain. It just ruins your sleep and leaves you feeling grumpy every morning. So can sleeping without a pillow help? It can stop your neck getting overextended while you sleep and let your spine fall back into it’s normal position giving your neck all the support it needs. But you can sometimes get the same thing from switching to a thinner pillow so if you don’t like not using a pillow you still have other options. Full disclaimer, it’s not me in the photos! For back sleepers it’s exactly the same as with a pillow only your head is on the ground/mattress instead. 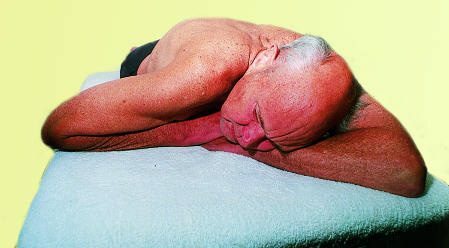 But for side sleepers it’s all about using your arm as a pillow and letting your shrugged shoulder support your neck. And for front sleepers it’s quite similar to with a pillow aswell but you again use your arm as a pillow. Just because you can doesn’t mean you should. And when everyone’s different it’s important to try it and see what you think. I personally like my pillow, I don’t get any neck pain and find it really comforting getting to put my head down on a pillow at night. So I encourage you to give it a try and see what you think. Let me know how you get in on the comments below! I’m sure others will like to hear some personal experiences. And if you think you need a new pillow check out my guide.